Insurance expert Linda Rey, author of the article, gives two primary reasons mortgage credit insurance is not a preferred option for most homebuyers. First, it’s very expensive. Other insurance options exist that can help with your mortgage and other expenses if needed. Second, mortgage credit insurance covers a declining liability. As you pay down your mortgage, your policy covers less and less. But your insurer will continue charging you the same high rate. What other types of insurance does Rey recommend? Disability and term life insurance. She says they help in several different situations and can cover expenses ranging from housing, to medical to other debt obligations. Rey warns against using a mortgage lender who tells you that mortgage credit insurance is a requirement for your mortgage. Shop around for a lender who doesn’t use practices such as this, which Rey considers “predatory.” The legitimate insurance you may be required to buy is Private Mortgage Insurance. 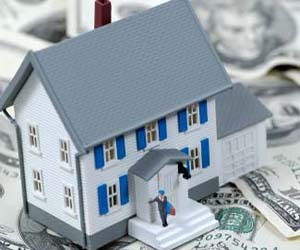 PMI is required on most mortgage loans that are for more than 80 percent of the home’s value. It is a protection for the lender, not the borrower. Equifax Personal Finance Blog, a favorite source for credit, tax, insurance, retirement and real estate information. This entry was posted in New Home News and tagged Carolina real estate, equifax personal finance blog, mortgage insurance on January 17, 2011 by Carol Morgan.